By now you probably know that I am a long-time customer of NakedWines.com. One of the things I like about the NakedWines.com business model is that the company encourages employees, who have an interest in winemaking, to pursue their dream. A number of wines available through NakedWines.com are made by winemakers who also hold staff positions within the company. One such winemaker is Alexandra (Alex) Farber, who produces her wines under the Miriam Alexandra label. Alex’s first wine was a 2014 California Chenin Blanc. Prior to tasting that wine, my only knowledge of Chenin Blanc was my memory of the jugs of cheap wine my folks would drink when I was little. My first taste of Alex’s Chenin opened my eyes to the wonder of today’s Chenin Blanc, and sparked an appreciation for this amazingly delicious wine! I’ve enjoyed three successive vintages of Alex’s Chenin Blanc, each one better than the last. This year, Alex released her first red wine, a 2015 Napa County Cabernet Sauvignon. When I saw it, I knew I had to try it. I have had the pleasure of meeting and visiting with Alex on several occasions. Recently I had the opportunity to ask her about her story, and her journey into winemaking. My first question was about the label name, Miriam Alexandra. The “Alexandra” is pretty obvious, but where does the “Miriam” name come from? Her response is interesting, and sheds some insight into her entry into the wine business. Miriam Farber was my great-grandmother. She was an Art institute of Chicago graduate, and an incredible artist. She did lots of watercolor, and that is where the inspiration of my label comes from. Alexandra, was my mom’s first choice of first names for me, but didn’t like the way Alexandra Miriam sounded, and liked the idea that on a resume my name could be written as M. Alex Farber (gender neutral! ), so I could go under the radar and be a successful female in business. Times have changed a little bit since then, so showcasing my full name was very important to me. Hence, Miriam Alexandra on my label. How long have you been in the wine business, and how did you get your start? I went to Davis for college and entered straight from high school into the V & E program. I worked my way through every quarter getting further away from all the pre-med pre-rec. classes and closer and closer to the wine classes. They were so interesting, challenging, and fun. So, I just kept going. Eventually graduating and getting an internship in Napa. Do you have a family history in wine? There is no family history in wine, other than lots of drinkers! I come from a family full of insurance brokers, bankers, lawyers, and accountants. When did you bottle your first wine, and what varietal or style was it? My first wine was bottled with NakedWines.com, my Chenin Blanc! I learned to make Chenin Blanc during my three year stint with Pine Ridge Vineyards as their Enologist. I spent those years in the Clarksburg Chenin Blanc vineyards and it is the wine I really wanted to make on my own with my own twist. Have you worked at any wineries other than NakedWines.com? Yes, I started as a harvest intern the summer/fall after I graduated from Davis at Trefethen Family Vineyards, I then went down to Chile and worked for Veramonte Wines, came back and was harvest enologist for Trefethen (for a year! ), then did a very short time over the summer with Round Pond Estate, and finally took a full time job as Enologist for Pine Ridge Vineyards. Ultimately, I wanted to do something more than just be in the lab, I wanted to be in the vineyards, work with winemakers to learn more, and contribute more to the wine industry, that is when I found NakedWines.com, and I have been working here since then. Both as a winemaker and now as our Head of Planning. What is your favorite grape varietal? Why? This is such a tough question for me to answer. If you are asking me what I like to make the most, it’s probably Cabernet Sauvignon. It is so expressive of place, it tells its own story through the winemaking process, and I love the age-ability. If you’re asking me what I like to drink the most? It’s Grenache, Syrah, Rhone Varietals, Pinot Noir, Champagne – a variety of its own :). I have been involved with puppy-raising for Guide Dogs for the Blind out of San Rafael for quite a few years now. I took a break after having shoulder surgery, and recently wanted to get back into it. An opportunity came up with a fellow guide dog raiser, who is now training diabetic alert dogs, to take Maui for a few months as a puppy. He is now about 8 months old, and is well on his way to becoming a canine diabetic alert dog for a type 1 diabetic child. In Alex’s other project, she serves on the board of directors of the Napa and Solano County chapter of Girls on the Run. Alex said that she wanted to get involved in the non-profit world so she could give back to the community in a way that would provide life-changing impact on young peoples’ lives. She found Girls on the Run, an after school program for girls in grades 3 through 8, that teaches life skills and promotes individual identity. Through exercise, discussion, and teaching, the 10-week program empowers the girls, develops an appreciation for health and fitness, and provides important skill they will carry throughout their lives. Alex started as a volunteer Life Coach, meeting with girls twice per week. Once she started her job with NakedWines.com, she had fewer hours available to volunteer, so she became a board member. She’s been on the board for about three years now, and says the organization will impact more than 1,000 girls in 2017. Because of NakedWines.com, I had the opportunity to become a winemaker much sooner than I had ever dreamed of, and it has been so incredible. I had four vintages of wine as a winemaker under 30! Without the support of Angels, and their trust in me as a winemaker, I wouldn’t have ever been able to make the wine I get to make today. It’s been such an honor and I can’t wait to continue making wine. So now that you know a bit more about Alex, the winemaker, let’s explore Miriam Alexandra Cabernet Sauvignon Napa County 2015, the wine. The wine is a deep purple color with a brick colored rim. The nose is a delight of blackberry, cassis, and oak aromas. On the palate, I was greeted with flavors of fresh blackberry, cherry, cassis, oak, and vanilla, with some red currant and chocolate notes. As expected for such a big, yet young wine, the tannins are firm and edgy, providing a mouth-drying punch but offering a deep, pondering complexity. The tannins will soften with age, but if you can’t wait, I recommend at least an hour decant before tasting. With medium acidity and mouthfeel, the finish lingers long with black fruit, spice, and vanilla. With aging potential of 5-10 years, or longer, this is a spectacular value for a Napa Cab. I brought this to a house party a few weekends ago, and we opened and tasted it sans food. Everybody enjoyed the wine, and commented on the solid fruit structure and compexity. Once we drained this bottle, the hosts opened a different Napa Cabernet, a 2012 from a small boutique winery in Napa. They boasted that their bottle set them back $80 (4x the Angel price for Alex’s offering.) While the 2012 was nice and had good fruit flavor, it lacked the oomph, complexity, and structure of the Miriam Alexandra. I can imagine that in a blind tasting, Miriam Alexandra would beat out the older boutique wine. Though I didn’t get to taste this bottle with food, this is a wine that would pair exceptionally well with a marbled rib-eye or prime rib. The fat would help tame the tannins and the wine would enhance the deliciousness of the meat. Fortunately, I have a few more bottles, so I can experience the magic of the meal I just recommended. 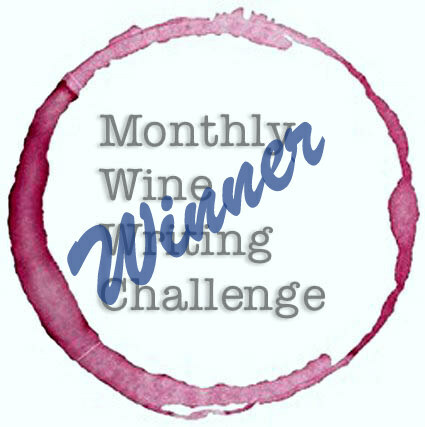 If you would like to try one of Alex’s wines, click on this link, or the logo below, to receive a voucher worth $100 of a first-time order of $160 or more. I thought so too! Alex is an amazing person. Cheers! Thank you for introducing Alex. I really enjoyed “getting” to know her and her wine journey. My pleasure! I’m glad you enjoyed it. Cheers! How fun to read about her journey into wine making. Thanks for sharing. Its so nice to hear the story behind the wine and meet the people making it. I always find wine people are pretty much an amazing lot. Cheers Kent. I agree! There are great people behind these great wines. Cheers!